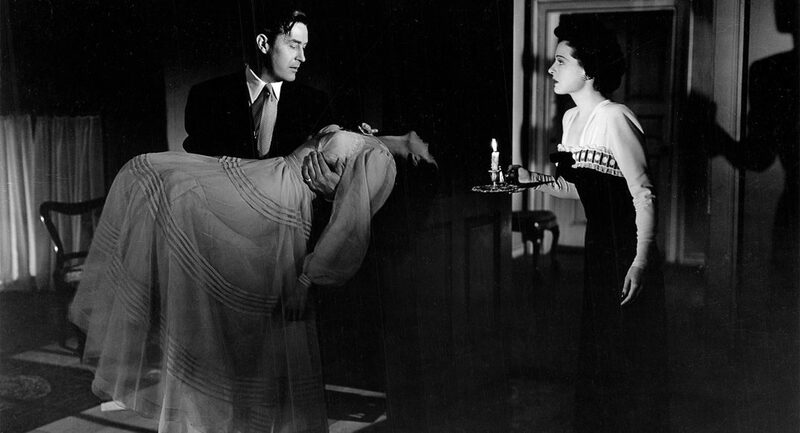 Day 8 of our 31 Days of Horror series brings us a stylish, well-made ghost thriller in 1944’s The Uninvited. 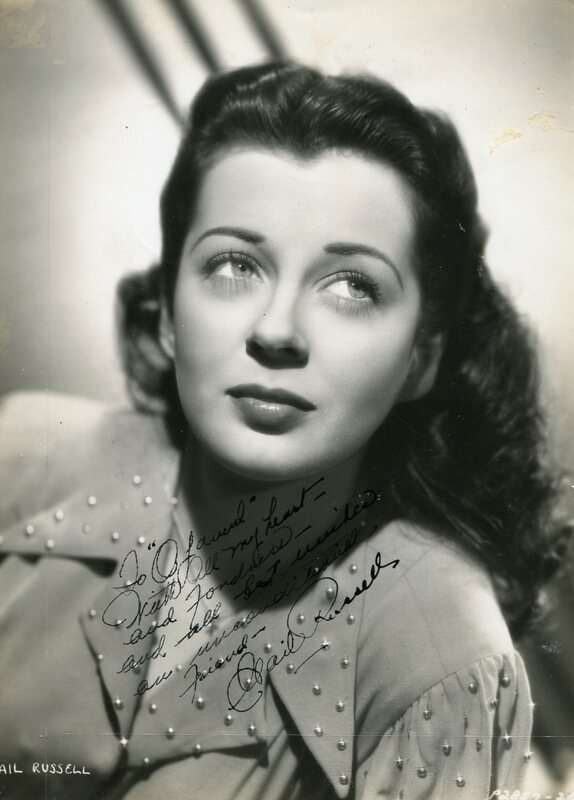 The film stars Ray Milland (Dial M For Murder), Ruth Hussey (The Philadelphia Story), and also features a lovely breakout performance by Gail Russell. The Uninvited is an interesting film to review, because it isn’t quite what I was expecting. It is eerie and suspenseful, yes, but it is also…charming? It’s unlike any horror movie I’ve ever seen, in that it fluctuates between the serious and the lighthearted at the drop of a hat. More importantly, it does this successfully. I admit, I’m still scratching my head over it a little bit. It’s one of those things that feels like it shouldn’t work, but somehow it does. The film begins with composer Rick Fitzpatrick (Milland) and his sister Pamela (Hussey) vacationing together on the Cornish coast. They are frolicking happily up and down the rocky shore, when suddenly they find themselves chasing after their terrier into an abandoned seaside mansion. As they take in the majesty of the home’s interior, Pamela is immediately starstruck. She suggests to Rick on a whim that they pool their savings and buy the place–after all, you’re not embracing the spontaneity of life until you leave everything you know behind and spend your last cent on an immense gothic manor that you’ve been inside for five minutes. It does seem little odd that an adult (but still in their prime) brother and sister would consider buying a house together, but since it isn’t all that uncommon in these old movies, I guess I’ll let it go without further comment. Anyway, they purchase the mansion from the elderly Commander Beech and his granddaughter, Stella, and immediately set about making it their own. There are rumors in town about the home being haunted (and Commander Beech is most definitely keeping secrets to himself), but Rick pooh-poohs that notion and explains it away as idle fantasy. It doesn’t take long, however, for the strange “disturbances” to become impossible to ignore/rationalize. In the dead of night, they hear the melancholy strains of a woman sobbing, and goosebumps prickle my arms when Pamela notes that “it comes from everywhere…and nowhere.” There are other disturbances as well, particularly in the upstairs studio: a cold, pervasive dampness to the air; flickering candles; a feeling of unshakable sadness; there are even several appearances by a ghostly, glowing source of light that is terrifying in its shapelessness. The movie does an excellent job of keeping the paranormal indicators subdued–it makes for a much more frightening and believable atmosphere. The Uninvited is a very well-paced film, and the reasons for the haunting (as well as their connection to the sweet, young ingenue, Stella) unfold in an intriguing fashion that will keep you guessing. There are some legitimately hair-raising moments (including a staged seance that turns out to be not-so-fake after all), but not so many that it will keep you up at night. This is my favorite kind of scary movie, truth be told: it’s spooky while you’re watching it, but the horror factor is tempered by the excellent story-telling and subtle romantic sub-plot. Speaking of the romantic sub-plot, it’s hard not to be charmed by Gail Russell’s dewey, school-girl portrayal of Stella, who obviously pictures herself sitting in a tree, K-I-S-S-I-N-G, with the much older Ray Milland. They definitely pulled a Rear Window here (see also: To Catch a Thief), because Milland has to be at least 15, maybe 20, years older than Russell. He almost seems more appropriately-aged to be her father, but oh well. It’s still cute. Overall, I would give The Uninvited two thumbs up. I watched it on Netflix DVD (Netflix’s DVD game is apparently pretty strong–almost all of these old, slightly obscure films can be found there! ), but now I may just have to go out and purchase my own DVD copy of this one. I’d love for you to check it out and let me know if you feel the same! Tomorrow, Charles will be reviewing The Picture of Dorian Gray (1945), starring Hurd Hatfield and the inimitable George Sanders. Be sure to come back for this and other juicy reviews during the rest of our 31 Days of Horror! !